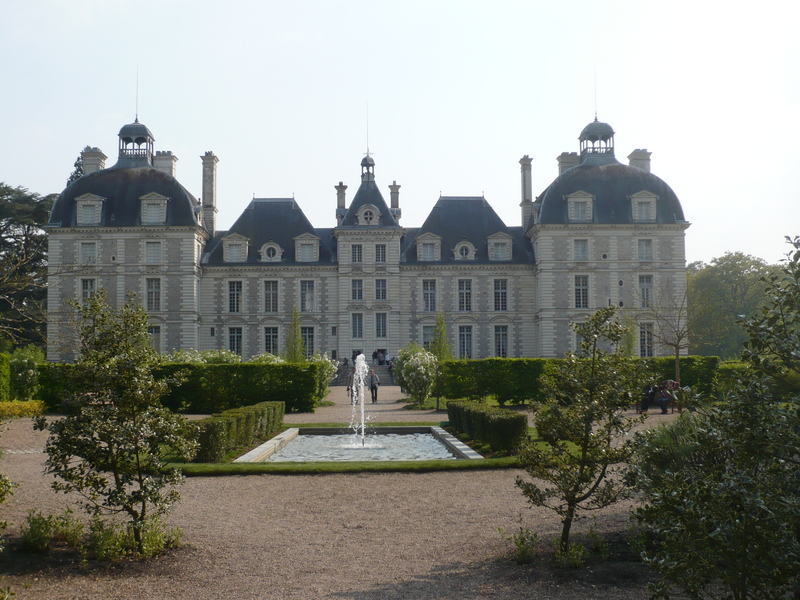 Occasionally, the private family quarters of a castle or chateau are open to tourists–for an extra fee, of course, and during very limited times. I never miss a chance to get behind the grand state rooms and see how real people might actually live. 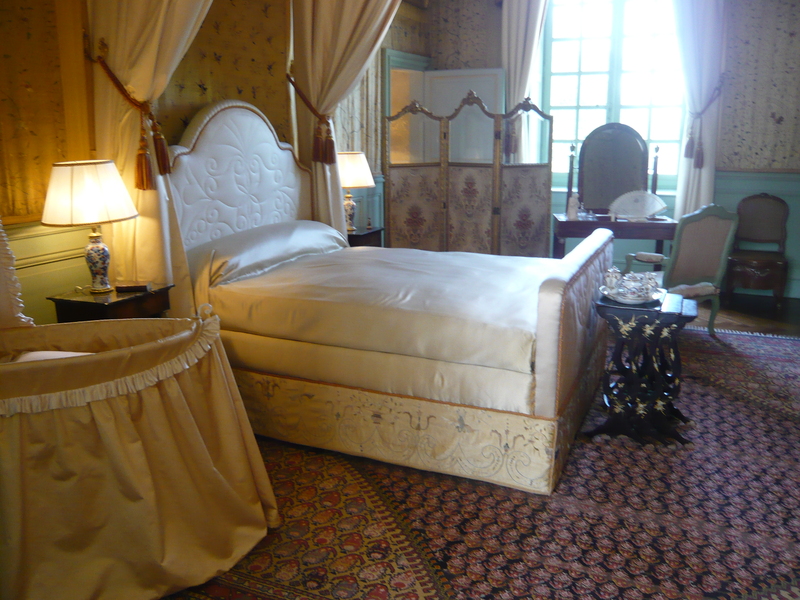 I had such a chance a few years ago at Cheverny, one of the most beautiful chateaus in the Loire Valley of France. Many chateaus have been taken over by the French state, but some families have been able to hold onto theirs. Cheverny is one of them. Gone are the days when the agricultural lands around a chateau could pay for its upkeep. Nowadays, the money mostly comes from tourist dollars. The family still lives at Cheverny, on the top floor, putting up with a constant stream of tourists walking through their ancestral home. After seeing some of their private rooms, I could see why it was worth the trouble to them. With so many ancient and beautiful properties turned into luxury hotels, golf clubs or exclusive spas, I admire noble old families who do whatever it takes to preserve their history and share it with others. 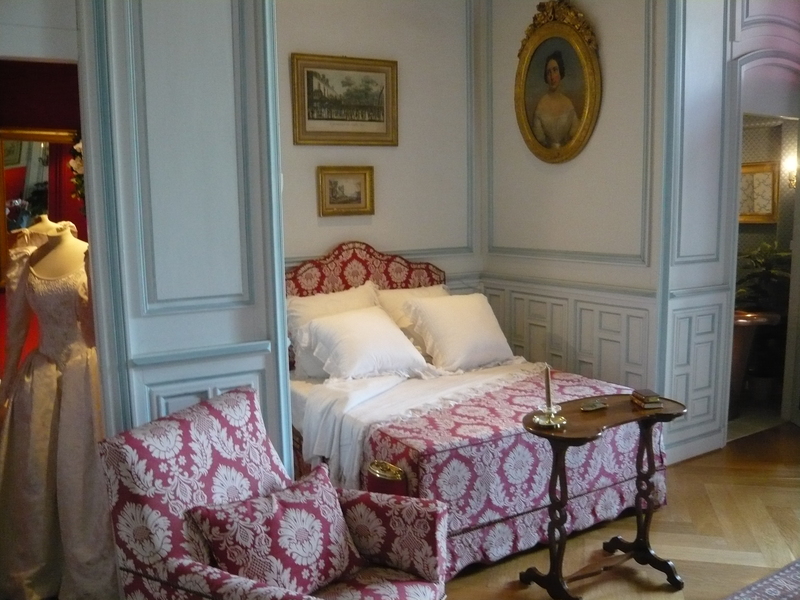 The private bedrooms at Cheverny were cozy and colorful, with views out over the gardens and grounds. One room had the wedding dress of a family member on view–from the 80s, from the look of it. 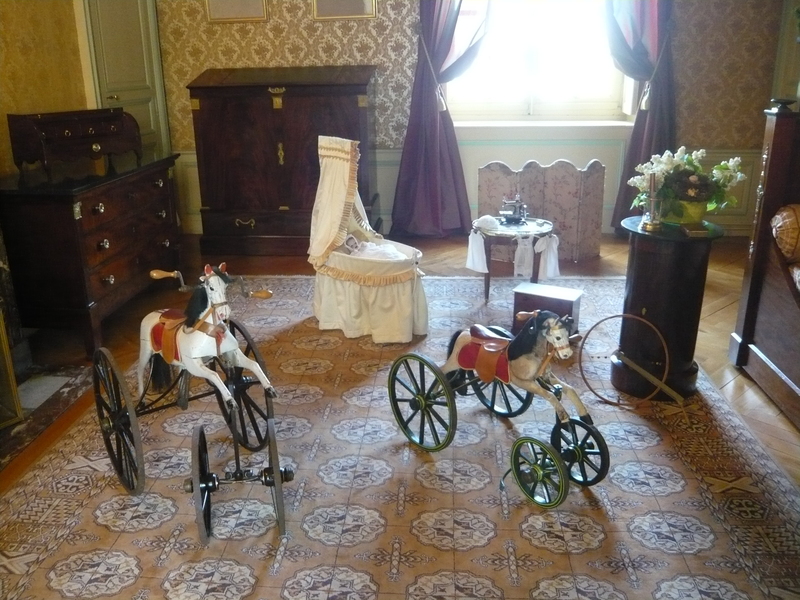 Another room displayed the antique toys that generations of the noble family had played with. The grand state rooms on the floors below still remain, and the family uses them when the tourists have cleared out. Still, I imagine the family is happy to climb the ancient stairs to their cozy private rooms at the end of the day. This entry was posted in France and tagged Cheverny, private life in a French chateau on May 24, 2014 by Claudia Suzan Carley.